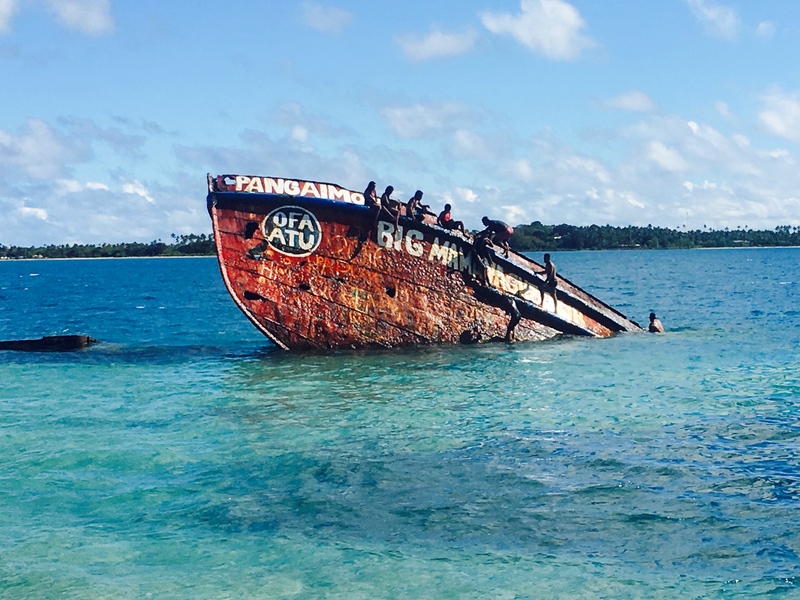 After three weeks we’re leaving Tonga. We’ve spent three weeks here, essentially a week each in three different locations. 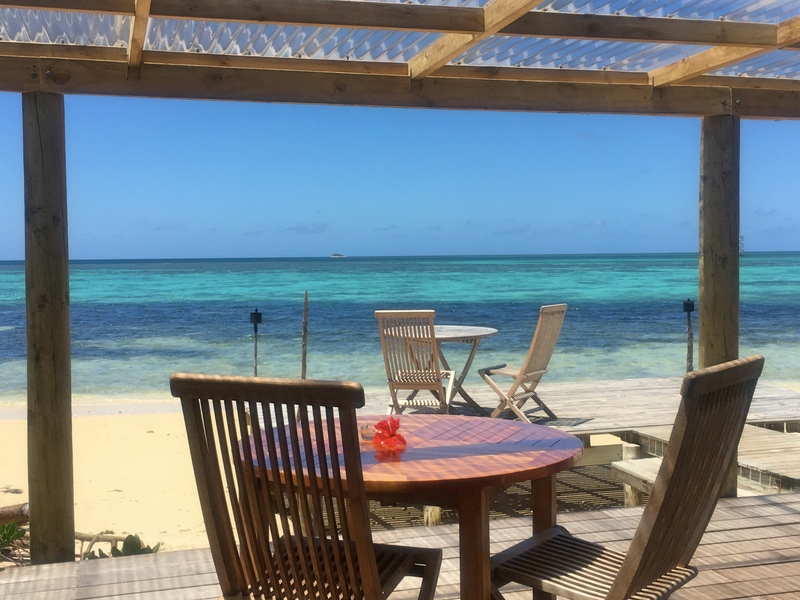 Our last stay was at Fafa Island Resort, a beautiful resort on a private island about 45 minutes (on a s-l-o-w boat) from Nuku’alaofa, the national capital and main population center. 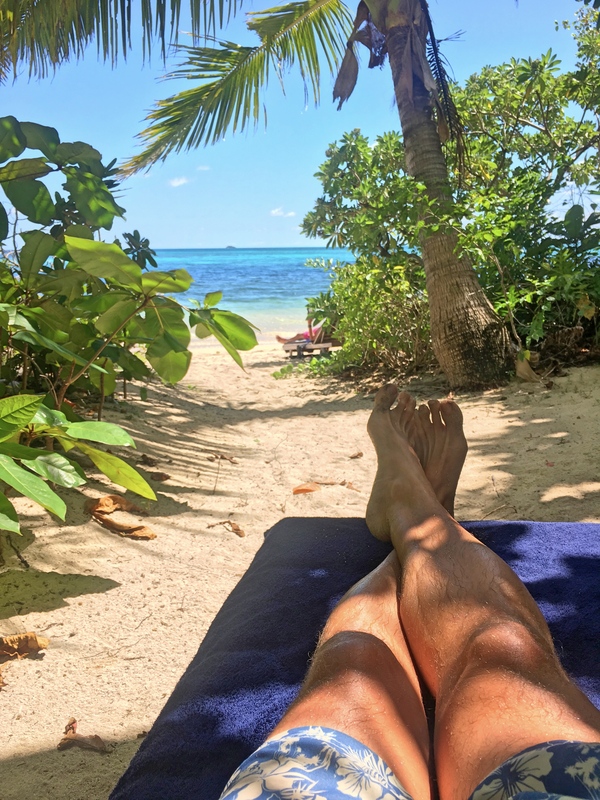 After a few weeks now in the South Pacific we have the routine down pretty well: breakfast, beach/read, lunch, beach/read, cocktails, dinner, sleep. Repeat. By about the third day on Fafa Island Mark was going a little stir crazy. Me? Apparently I’m better at doing nothing on the beach, day after day. 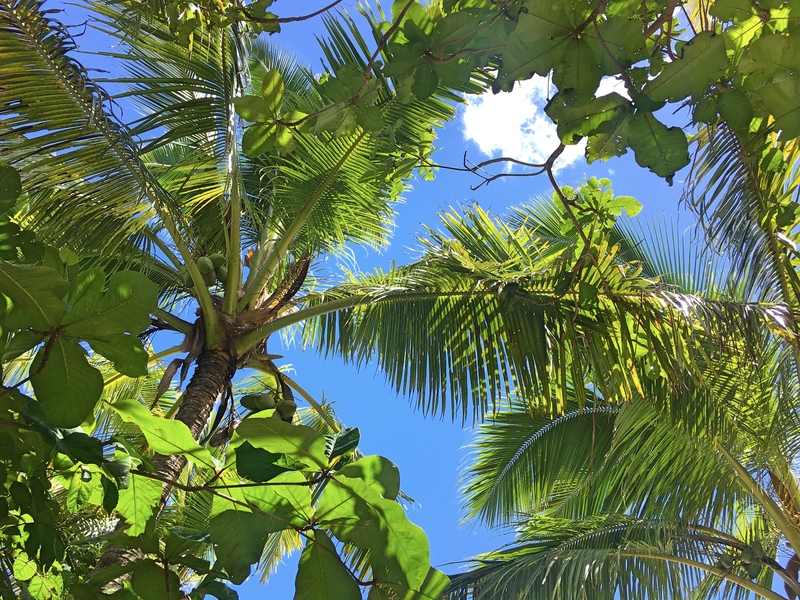 And when there was a rainy day – we had one long, rainy day on the island; who knew that all that beautiful tropical vegetation needed regular watering? – I got all my accounting chores done. With these three Tonga weeks behind us, we have a few observations. If you have more limited time, which of the three should you go to? Depends on what’s important to you. 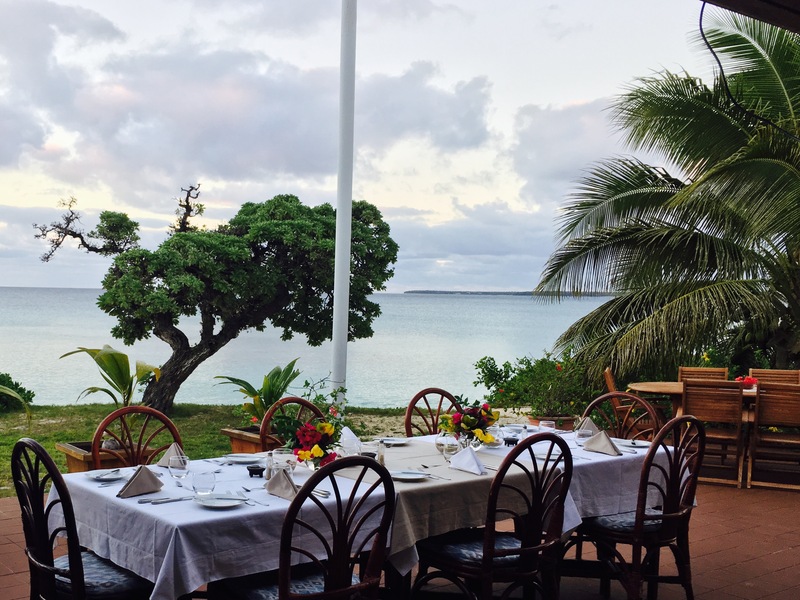 • If food is key, you can’t beat Mandala Resort up in the Vava’u island group. 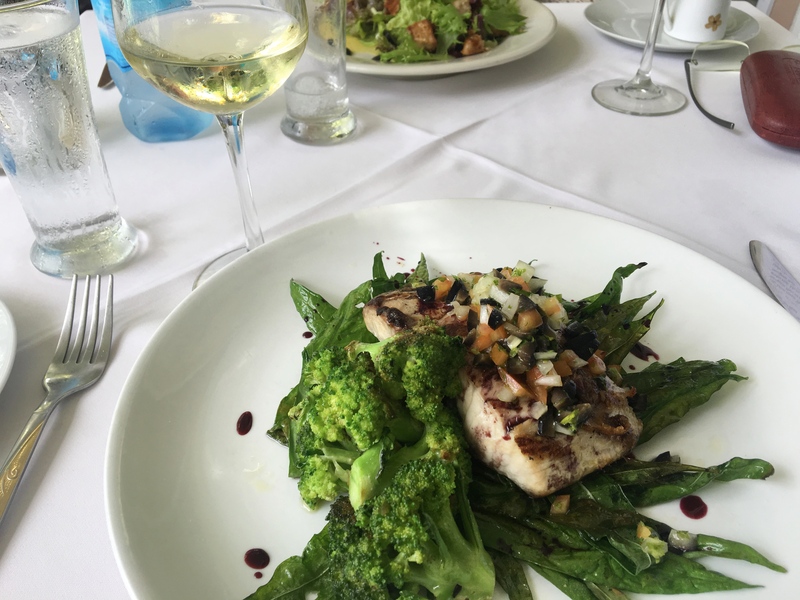 Some of the best resort food we’ve ever had. 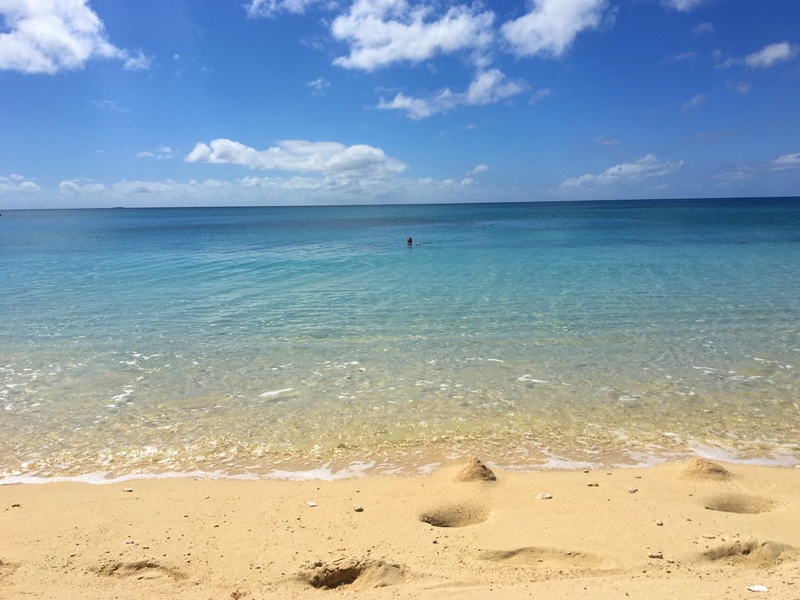 • If the beach is key, then you want to go to Sandy Beach in Ha’apai, one of the most beautiful beaches we’ve ever seen. It was also the only place where meals were served at one big table so you really got to (had to) get to know your fellow travelers. For us that’s usually a nice bonus. 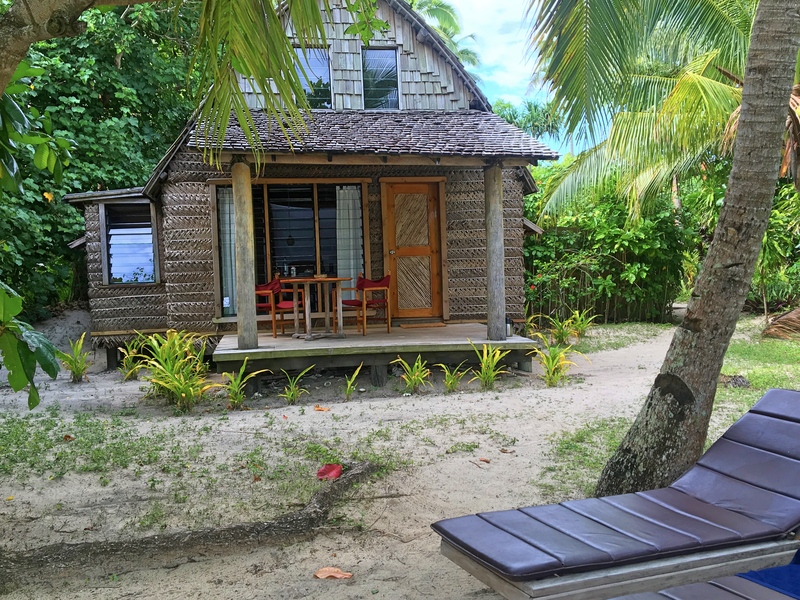 • And for design and beauty you can’t beat our last stop, Fafa Island Resort. 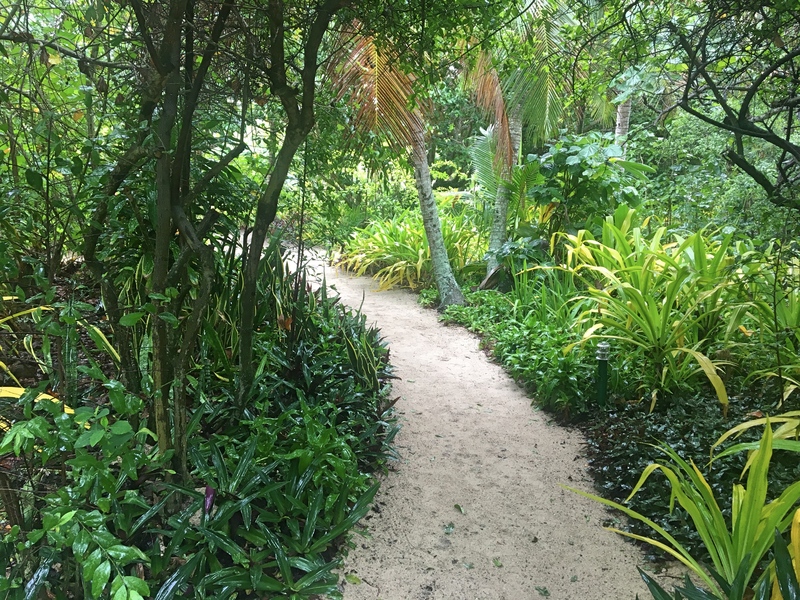 The fales were all beautiful and – importantly – set in lush, tropical gardens that made them each utterly isolated. The “public” area where meals were served was beautiful as well. 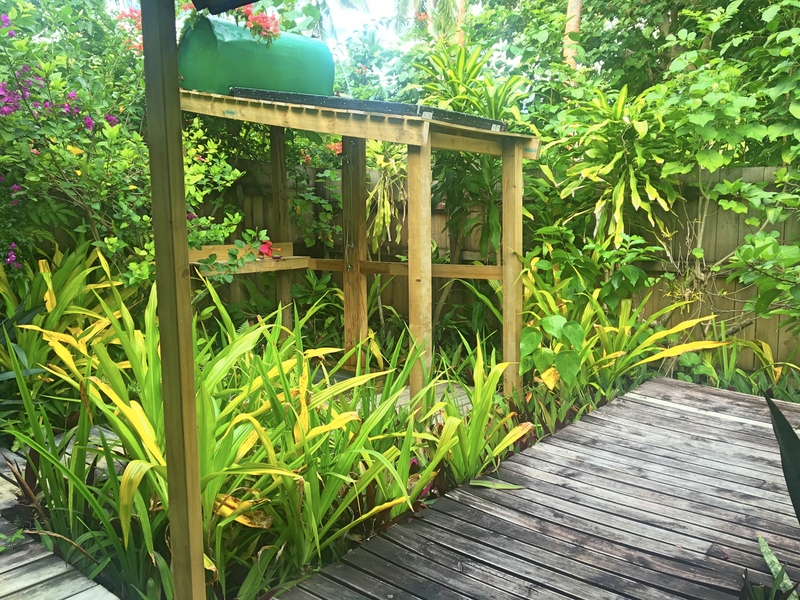 And the outdoor bathroom attached to the fale, fully surrounded by wooden fence and alive with tropical plants, was perhaps the best bathroom we’ve had anywhere. 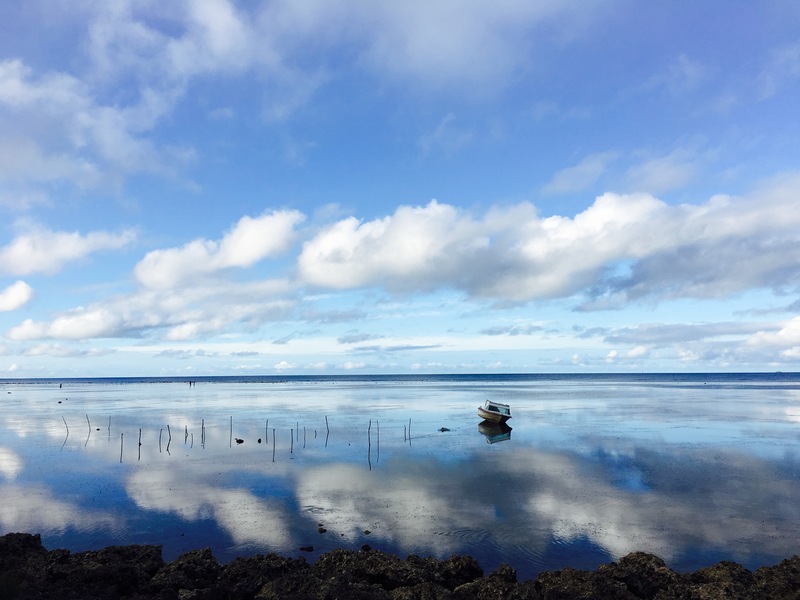 We’ve learned a thing or two about flying in Tonga, too, and we pretty much love all of it. Start with no security. The inter-island flights are tiny, and they don’t have to worry about ISIS or terrorists or anything. So there’s no security. Heck, when we went to check in on one of our flights we walked up to the check-in counter and, before we’d even given him our passports he just said “Mark and Jim?” Apparently there weren’t too many other gay white couples scheduled. And ultimately he never did ask for our passports, just wrote his name on the boarding passes – these flights don’t have computer-generated boarding passes, just hand-written little things – and sent us on our way. Lying in a hammock or beach chair, you saw a lot of this. The only thing is you have to make sure you’re not under a coconut; they do serious damage if they fall on you. The other strange part – not unprecedented, but unusual – is when they weigh you. Presumably they need to pay attention to the total weight on these little planes so they weigh not only your bag and carry-on, but they have you get up on the scale, too. Probably a good thing, but it seems as though it could be a little intimidating. People in the region are so big – really big – that the flight attendant just automatically walks through the cabin with seat-belt extenders for the many people who will need them. 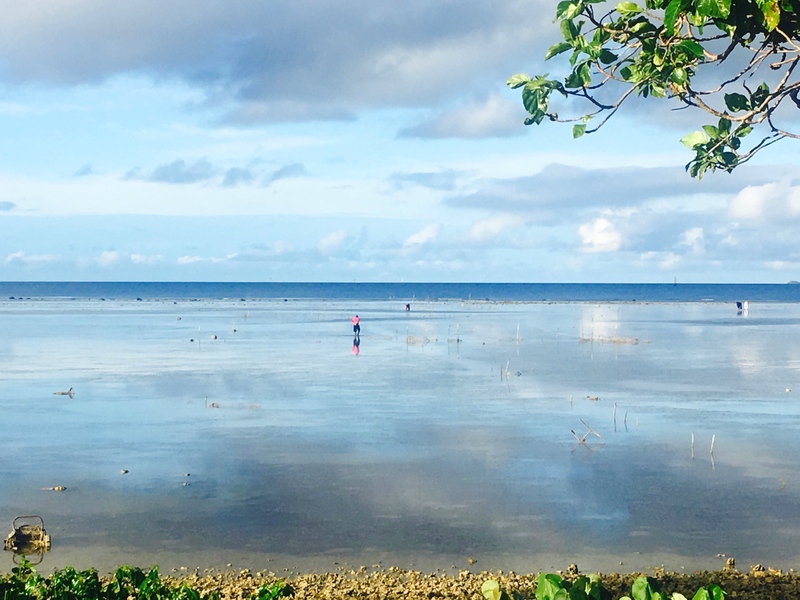 I’ve loved the slow pace of island culture, where the only thing you have to think about is the movement of tides, since you can only swim around high tide. At the same time, though, I’m feeling the need to go someplace where I get at least a tiny bit of exercise. I’m making great progress through my three-volume Winston Churchill biography and I’m finding it fascinating. A strange man, to be sure, but he’s at the center of so much of the history of the first half of the 20th century, even before he became Britain’s wartime Prime Minister. And with nearly 3,000 pages to work with, Manchester has plenty of time to explain all that was going on. From here we’re going on to Auckland for four days before spending a week in New Caledonia, our last South Pacific island stop though there we’ll be staying closer to something resembling a city. For now, though, we’re ready for a return to civilization, where you have restaurants to choose from and can even choose what time you want to eat as opposed to the time the resort is serving. Stores where we can buy toiletries. And laundromats. Sometimes it’s the simple things that you get excited about. The beach here was great and again, very isolated. The only downside was that because of the shallow coral you could only swim an hour or two on either side of high tide. And while we were here that was typically first thing in the morning or late afternoon, meaning no mid-day swims. 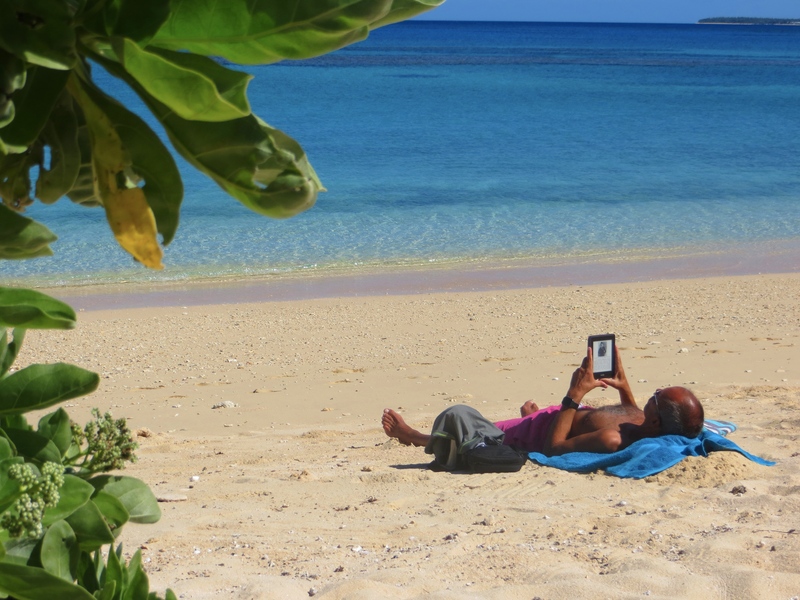 Our third stop in Tonga took us to the Ha’apai island group, where we did little more than perfect the art of doing nothing. 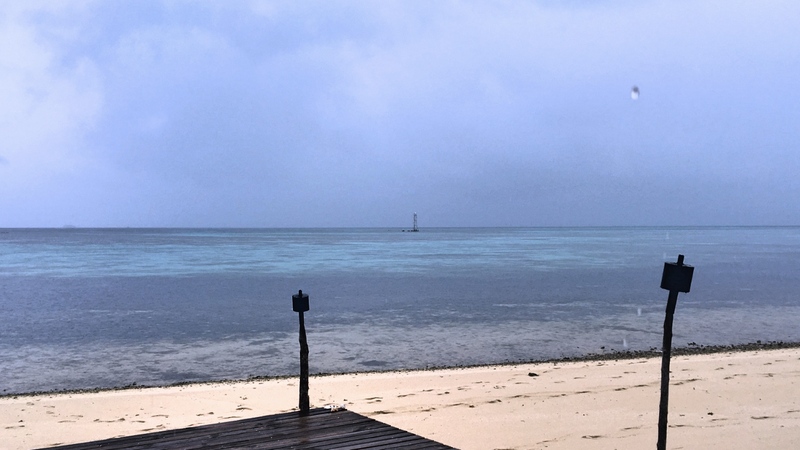 After a 45-minute flight from the capital, we spent five days at a place called Sandy Beach Resort. The highlight here was just what the name implies: a gorgeous sandy beach. 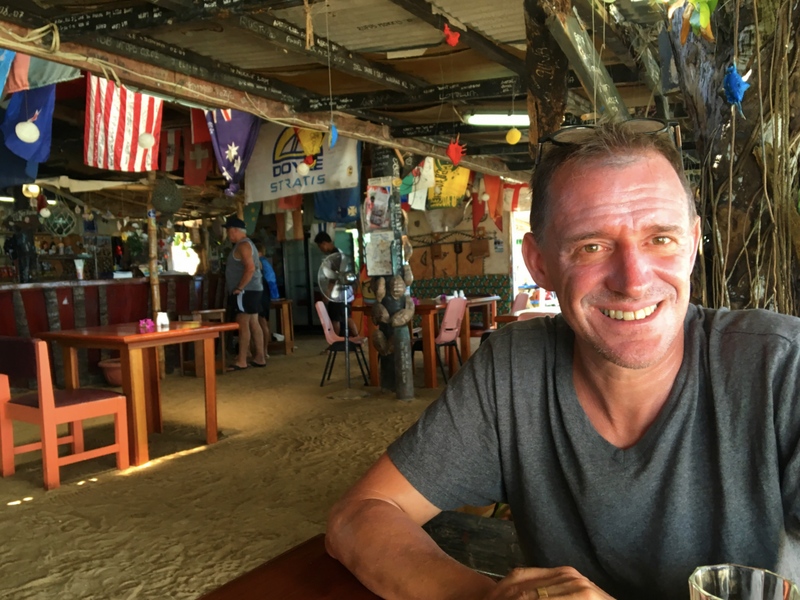 Boris, the German owner of Sandy Beach, has built a row of comfortable and functional fales overlooking this stunning beach, with lots of room in between to afford plenty of privacy. In theory, we could have gone out on kayaks or taken bike rides, but we never really got around to those things. 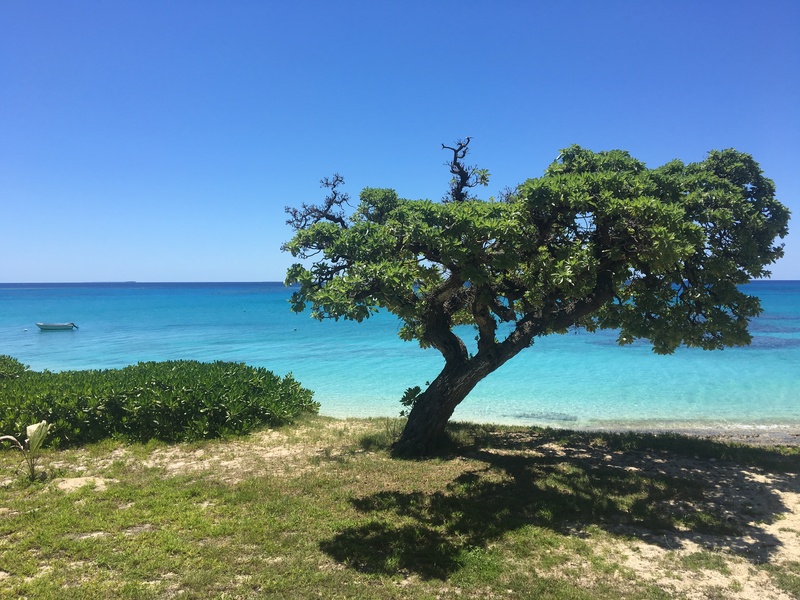 The days mostly consisted of moving back and forth between our fale, a chair or a towel on the beach, the crystal clear water itself, and the communal dining area. Admittedly, Jim did go running a few times, and I put on a snorkel mask a few times, but not much else at all. At dinner time we compared notes with our fellow guests from Australia, New Zealand, Germany, and Austria. Most of them hadn’t accomplished much either. 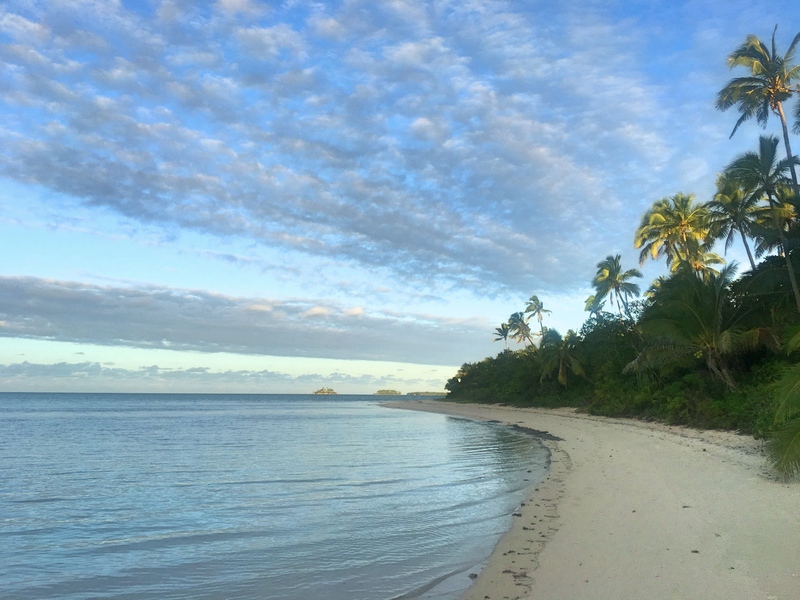 It’s pretty easy here to slip into “Tonga time,” enjoy the lovely views, and just let the days pass. 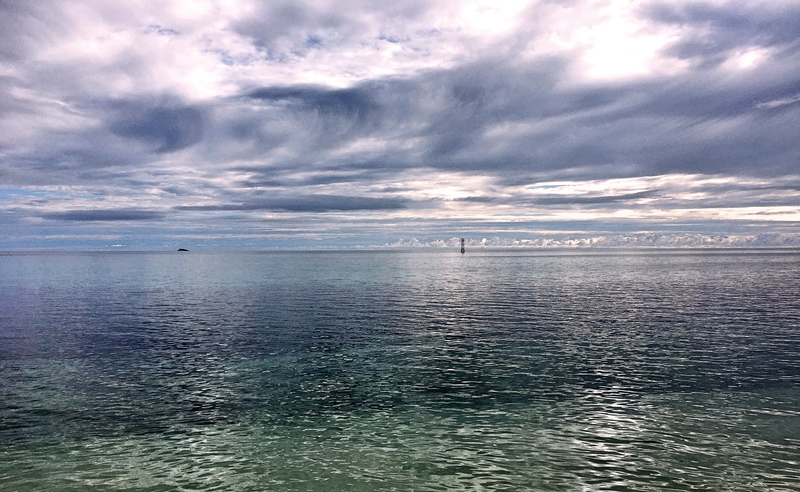 Our second stop in Tonga was the sleepy little capital of Nuku’alofa. We mostly came here to transfer flights from the Vava’u island group to our next destination in the Hapa’ai island group. But the way the flights worked out, we needed to stay a couple days. 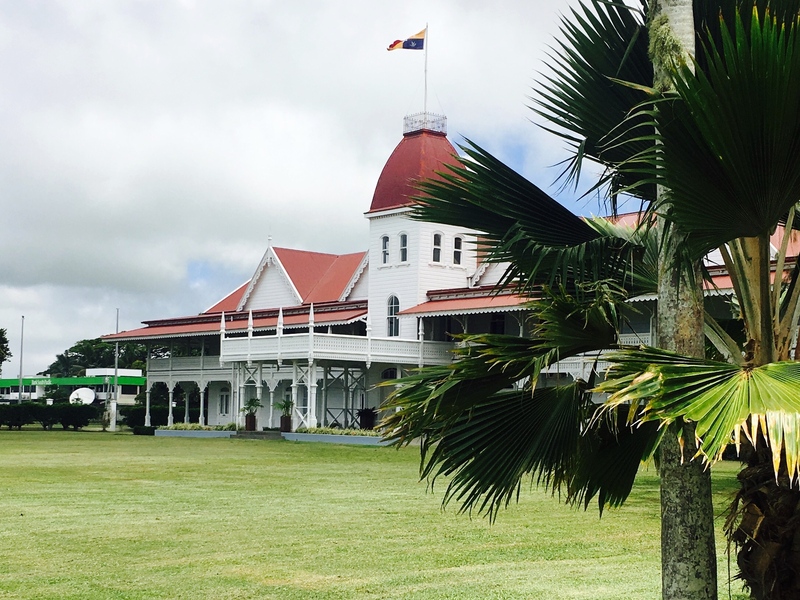 The capital boasts a population of about 25,000 people, including the royal family of Tonga (which happens to be the only monarchy in the South Pacific). The town, whose name means “abode of love,” rests on the northern side of Tongatapu, the largest island in the kingdom. Now when I call this town “sleepy,” I’m referring to its status on Monday through Saturday because on Sunday it is positively dead. 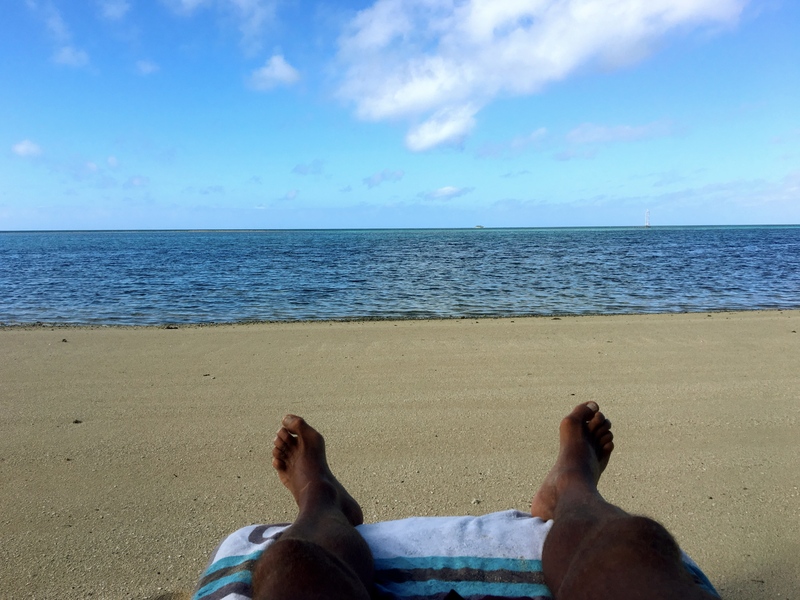 Sunday is a day of rest in Tonga. In fact, Tongan law prohibits most people from working on Sunday at all. 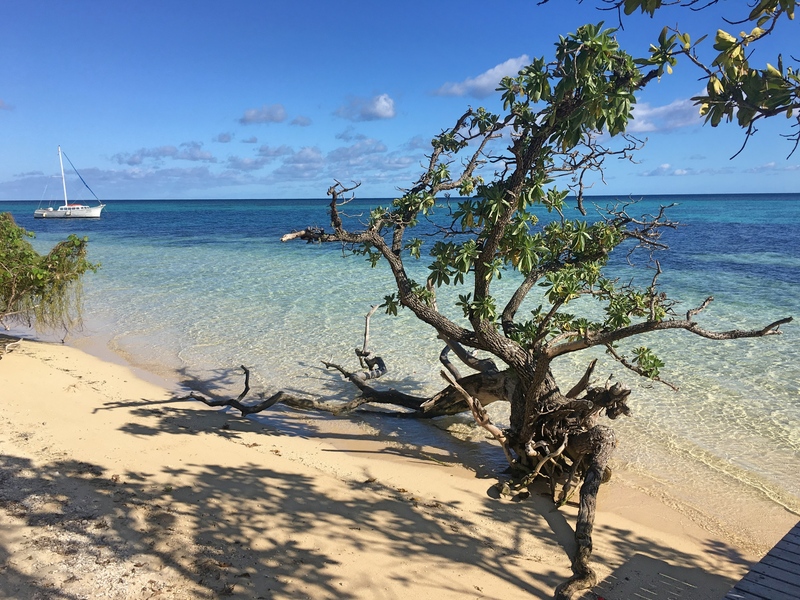 Since we flew in on a Saturday, we had no choice but to catch our next flight on Monday because, naturally, there are no flights on Sundays in Tonga. That would be against the law. So what are we poor tourists expected to do, stuck in a town with everything shuttered up all day? Fortunately the law seems to bend a little to take care of us. Several little resorts on nearby islands offer day trips. So you catch a boat in the morning and spend the day at the resort, have lunch there, swim, sit on the beach, and catch a late afternoon boat back. Back in town, where all restaurants are closed, the hotels are allowed to serve dinner only to their own guests. So somehow it all worked out, and we had a pretty darn nice day of rest after all.